Being a Veteran of Disney World vacations, I thought I would share my tips and what-not through some blog posts. I think I already posted about booking and magical express...But not sure if I did ADR's which is Advanced Dinner Reservations. The first time we went to Disney World in 2005 we did not do ADR's because we did not know of this beforehand. But after 1-2 trips I finally got the gist of it. It really does come in handy because restaurants on property get filled fast. One thing I learned recently was to look at the menu prior to going to Disney. This saves you ample amount of time. Instead of getting to the restaurant and starring blankly at the menu deciding what to have, many websites offer what each restaurant serves. 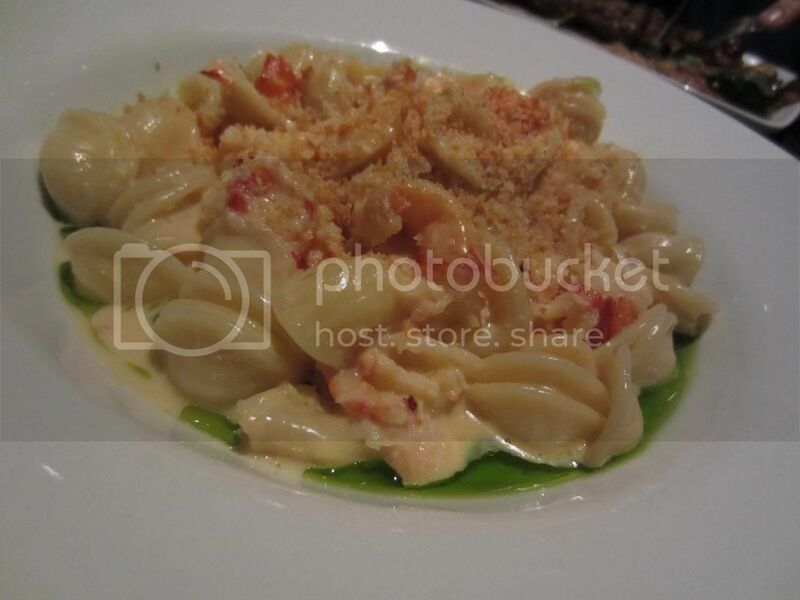 Normally if the Restaurant name is NOT in the description, you would put Lobster Orecchiette Pasta at Coral Reef Disney World. Your finished. You can log this down in a word document or somewhere you will remember. Such as with your ADR's number. Also another tip for your restaurant...Sometimes people cancel their reservations the day of or days prior, always go to the restaurant an hour before your scheduled reservations and see if anyone cancelled or ask to be signed in. If it does work they will hand you one of those beeper thing for you to wait for an open seat. If you don't get called you still have your 6pm reservation. If you do decide to cancel your ADR you can go to Guest Services at the park you are at and see if any other restaurant is open. They will usually have a board outside to tell you which restaurants are filled but I always ask anyway in case the board is wrong. Always make new reservations before cancelling your existing ADRs. Eating out is an experience rarely treasured by a majority of restaurant goers. I hope these tips can not only help you enjoy your next night out, but also every meal in between.